Courtesy of History Colorado Center. History Colorado Center wants you to "Live the dream, or die of dysentery!" Remember that time as a child you got typhoid … and died? Or that time you tried to cross the river in a covered wagon … and died? Or what about the time you broke your leg … and died (that one was especially irritating)? You do if you ever played the old-school The Oregon Trail computer game! Revisit your childhood as the History Colorado Center brings the classic to life with The Oregon Trail: In Real Life (IRL) event. 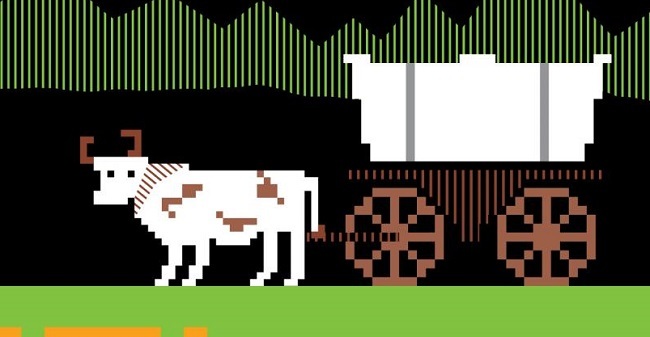 “The Oregon Trail: IRL takes you back to a time when measles, snakebites, oxen, and your school librarian ruled your life,” says the center. This experience isn’t like your old social studies class! The game will become a live-action experience set throughout the museum. You can test your pioneering skills as you hunt for food, ford the Snake River (be a ferry boater, not a wagon floater), play the original game in the center’s '90s throwback library computer lab, and a whole lot more. You’ll finish the evening like you did eight times out of 10 when you played the game as a youngster: in the graveyard. The graveyard lounge, that is, complete with a cash bar and music. That beats dying in the Great Basin from “exhaustion” any day of the week. Your ticket will also include a commemorative lanyard, a small Nerf gun, and a complimentary 1916 Lager brewed by Renegade Brewing Company. When: Sept. 15, 7-10 p.m.
What do you think? Will you survive The Oregon Trail IRL? Actually, you know what, probably not. So, nevermind. The Insider's Guide to the Great American Beer Festival 2018.